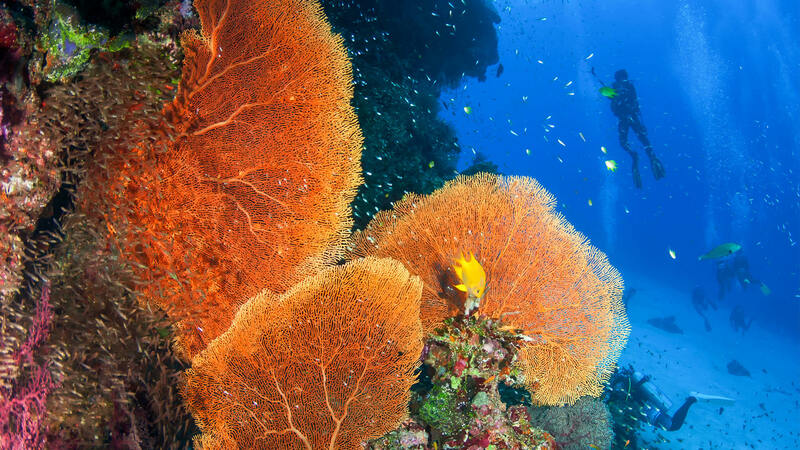 The Similan Islands National Park has become well established as one of the finest dive locations in Asia, with liveaboard diving being especially popular. 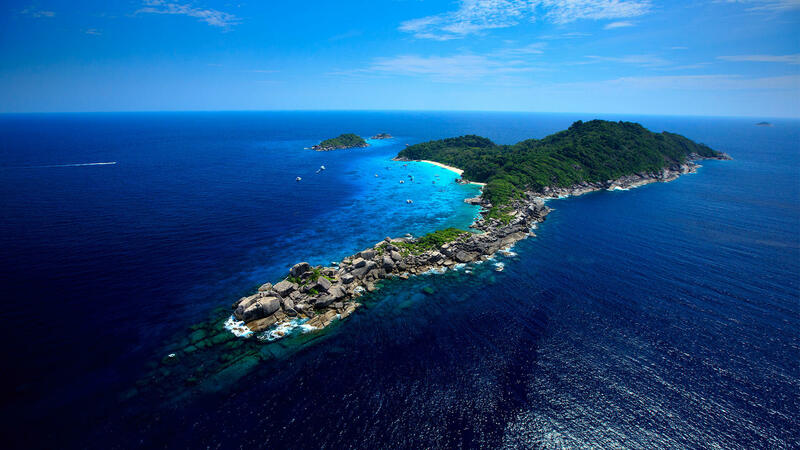 Many dive operators also offer Similans day trips departing from Khao Lak. Day trips are ideal for those who lack the time or money for a liveaboard cruise but still wish to experience the great diving on offer at the Similans. Note that Similan Islands daytrips are only available from end of October until end of April. 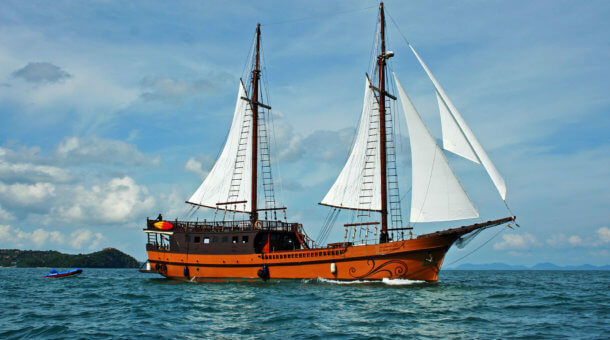 All day trips depart by speedboat from Khao Lak, with transfer to a larger liveaboard diving boat which stays in the islands. Transfers are available from Phuket, taking up to 2 hours each way by minibus. If you have just a little more time, we highly recommend spending longer than a few hours in the Similans. Day trips are a long day for just 2 dives. 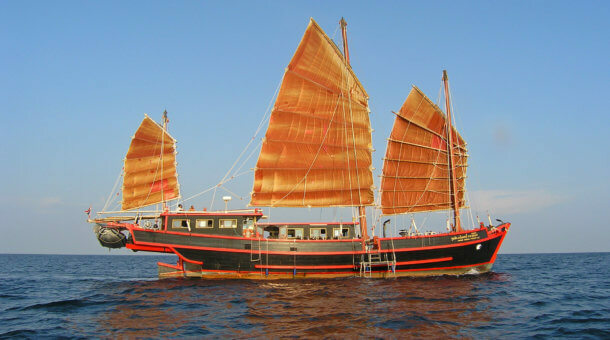 Most Similan Islands Liveaboards run trips of about 4 days to Similan and Richelieu Rock. You can transfer any day by speedboat and make an overnight stay or longer, diving the Similans on the South Siam liveaboard. An overnight trip gives you 7 dives so you get to see much more! 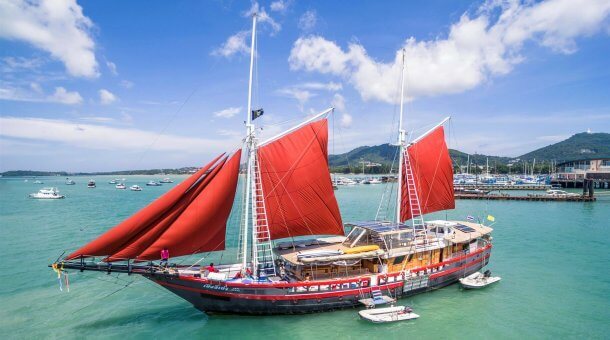 Liveaboards are certainly the best way to dive the Similan Islands, and we urge you to find the time for at least an overnight trip! A day trip just gives you just a taste and it’s quite a long tiring trip for just 2 dives – if you have the time then try a liveaboard! We strongly recommend making bookings in advance for any Similans dive tour, especially in peak season. 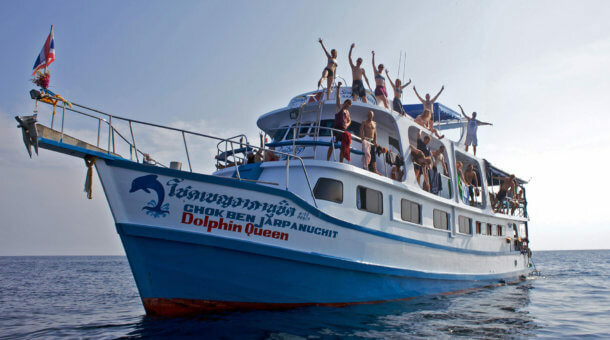 The South Siam Divers operated day trip operates every day in the high season (approx. October 20th – May 4th). For most customers in Phuket, there is a free transfer by minibus (pick up 6 – 6:30am, journey time about 2 hours) to Thap Lamu, close to Khao Lak. Breakfast is available at the port before boarding speedboat, usually just some toast and coffee, you may want to bring something with you to eat on the minibus ride. The speedboat then takes you to the Similans – ride is about 1 hour 30 minutes where you board the South Siam liveaboard dive boat for your 2 dives. Similan Islands sites are dived on Monday, Tuesday, Thursday, Friday or Saturday – note that on Sunday and Wednesday the day trips are to Koh Bon, just north of the Similans – where you may find Manta Rays! it is a long, busy day trip from Phuket and can be quite crowded at peak times – we do suggest if at all possible a longer stay to see these beautiful islands. Equipment rental extra 500 Baht for BCD/regulator/fins/mask/wetsuit. National Park Fee 700 Baht to pay cash on the trip. Divers who have not dived for a long time may need to pay extra for a private divemaster @ 2000 Baht. Note that for Similan day trips you will dive with a diveguide who works directly for the boat operator, we may be able to send a guide if you book 2 or more people – extra fee 2000 Baht per day for an extra divemaster. Note 2 : Please check with us that your hotel is in a free pick up area before booking. 10:00am Arrive Similans or Koh Bon. 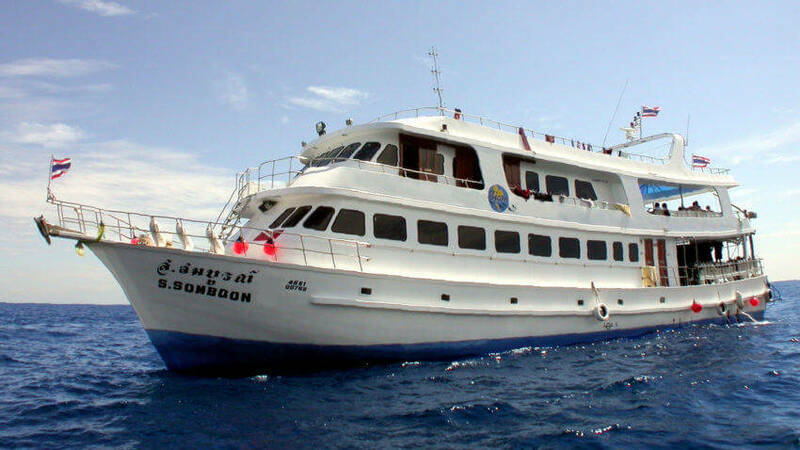 Board the liveaboard boat, you will need to get ready quickly for the first dive. Note : This is an approximate itinerary.